The election is here on Friday, and Sheikh Salman bin Ebrahim al-Khalifa, a member of the ruling family of Bahrain and the president of the governing body for soccer in Asia, might already have the support of a commanding number of voting countries, making him the favorite to replace Sepp Blatter as president of FIFA. Critics have seized on one aspect of Sheikh Salman’s background that remains unclear: They want FIFA to investigate whether he had any connection to the jailing and torture of Bahraini athletes who peacefully protested his family’s rule during the so-called Arab Spring uprisings in 2011. When the uprisings spread through the Middle East in 2011, Bahrain’s Sunni Muslim ruling family violently repressed its own pro-democracy protests that were led by members of the country’s Shiite majority. The authorities were accused of torturing hundreds of people who were taken into custody during the crackdown, among them protest leaders but also professionals who had sympathized with the demonstrators, like doctors and athletes. Bahrain, a key Persian Gulf ally of the United States, pledged to carry out reforms after the unrest, but since then most of the country’s leading dissidents have been forced into exile or sent to prisons where, human rights groups say, torture and other abuse are still rampant. Sheikh Salman has denied allegations that he was connected in any way to human rights violations, but the ruling family’s tactics have received increased attention as he climbed the hierarchy of international sport in the past five years, winning his position on FIFA’s governing executive committee in 2013. In that time, some of the athletes in Bahrain who once spoke out against him have recanted. 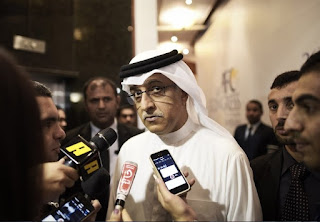 The allegations against Sheikh Salman and the possibility of his victory as the first new president of FIFA in nearly two decades are discomfiting to some members of an organization seeking to project reform in the face ofinternational investigations centered on financial crime. Human rights groups, who previously criticized FIFA over the conditions of workers building World Cup stadiums in Qatar, have expressed their outrage about Sheikh Salman to soccer federations and sponsors alike. The other leading contender for FIFA president is Gianni Infantino of Switzerland. But Sheikh Salman’s ability to gather critical support has signaled a possible shift in power in global soccer, long concentrated in Europe, toward the Middle East. He has won the full support of the top soccer officials in Africa and Asia, FIFA’s two most populous confederations, and this month seemed to win the backing of Russia, which had previously endorsed Mr. Infantino. At the same time, Sheikh Salman has put forth a more Western image in photographs on hiscampaign website, appearing more often in suits or jeans than in traditional Bahraini dress. If elected, Sheikh Salman, who lives in Manama, said he would be a “roving president,” spending time in Zurich as necessary but focused on traveling to small countries where soccer has been underdeveloped. A private person about whom few personal details are known, Sheikh Salman declined to be interviewed by The New York Times in person or by phone but answered some questions by email, refusing to speak about his family. He referred questions about human rights and the Arab Spring protests to his lawyers, who denied activists’ allegations.